Trax Ghana believes in composting. Many of the farmers we work with have witnessed that this organic fertilizer has greatly increased their harvests, but at the start of the International Year of Soils (2015) scientific evidence has confirmed what Trax and the farmers already knew: the compost of Trax’s farmers increases soil fertility. 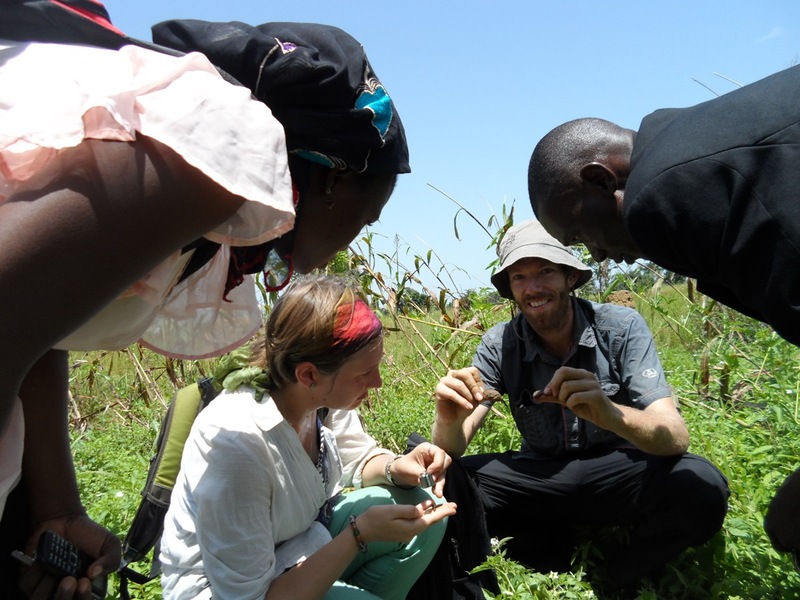 Dr. Volker Häring, a soil researcher from the Ruhr University of Bochum in Germany, has assisted Trax’s field workers to take soil samples and to have them analyzed in Germany. This has made it clear that composting significantly increases the carbon, nitrogen and macronutrient contents, which leads to less soil erosion, higher water holding capacities, high cation exchange and better plant growth. And that is great news for food production! The Food and Agriculture Organisation puts soils in the spotlight this year because soil is the basis of food production and plays an important role in the water cycle and in climate change mitigation and adaptation. Trax’s farmers need to take special care of their soils because soils in Northern Ghana are not very fertile. According to a World Food Program Report about food security in Northern Ghana (2013) farmers view low soil fertility as the second most limiting factor to agricultural production (after inadequate rain). In order to improve this, Trax has taught farmers how to construct composting pits and how to produce high-quality compost since 1989. It considers this organic means of fertilization as the most sustainable way of improving soil health. During Dr. Härings soil analysis, samples taken from fields with compost application were compared with samples from fields without previous compost application. After drying, sieving and milling the samples, they were analyzed by means of infrared technology (Fourier Transform Infrared Spectroscopy). The results were astonishing. Carbon content, which is responsible for soil stability, low vulnerability to soil erosion and a high cation exchange capacity, was 30% higher on composted fields! Nutrients that are important for plant growth were also found in much larger quantities in composted fields. Calcium contents were double those of non-composted fields, magnesium stocks were 30% higher and nitrogen 4%. Apart from having more nutrients available, composting also increased the soil’s capacity to retain nutrients (cation-exchange capacity) by 1.7 times. Lastly, soils in Northern Ghana are usually acidic which limits biological activity and nutrient availability. With the application of compost on fields, however, the pH has increased by 0.7 units. Trax Ghana is very thankful to Dr. Häring and his colleagues for providing the scientific evidence that organic fertilizer can bring great improvements to soil health and therefore food production. Let us continue to work for healthy soils! This entry was posted in sustainable agriculture and tagged compost, Food security, International Year of Soils, organic, soil. Bookmark the permalink. Please let us know where you are located so that we can see if we are able to do a training or if you are close to any of our Community Trainers so that they can teach you how to make this kind of compost.